Stories and moments shared by CCS volunteers are one of the best ways to learn about the impact of our programs. 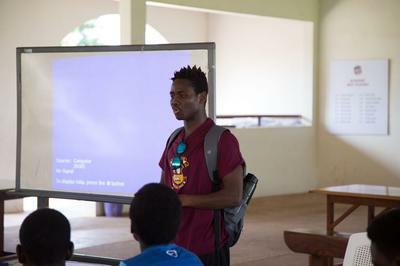 Today, we're happy to share a story featuring Lamont Thomas in Ghana:. The CCS public health dental initiative launched in Ghana just before New Year’s, with volunteers working at the Blidokope Primary School in the Adaklu community of the Volta Region. Volunteers served families from this village who earn incomes as peasant farmers and weavers, and rarely, if ever, have the opportunity to visit a dentist or receive dental care education. 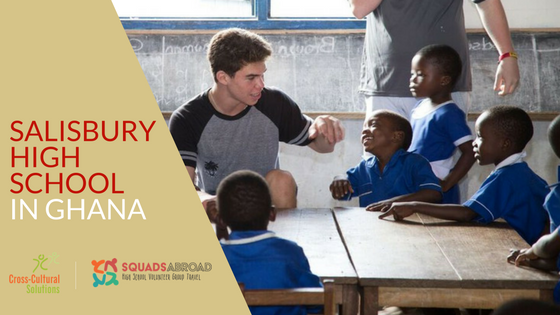 Our High School Volunteer Abroad program is a way to be immersed in a new and exciting culture while making an impact in a community abroad. Not only is it practicing English and forging bonds with local students, but you’ll also get to go on weekend adventures while building friendships with other teens. Jessica Rios, a Physical Therapy student, from Illinois Central College (ICC) was always interested in traveling internationally, but hadn’t had many opportunities to do so. She wanted to find an experience that offered her first-hand insight in the field of healthcare so that she could have a firm grasp on how different countries approach and overcome systemic challenges in the healthcare system. Food is far more than fuel for our bodies—it reveals something significant about our cultural heritage and brings us together around the table. CCS volunteers consistently rave about the food at the Home-Base. CCS cooks are also trained in safe food preparation and cooking for a variety of dietary preferences, restrictions, and allergies. Check out these volunteer reviews and cultural factoids for our nine country destinations! CCS alumna Courtney Hudson recently won CCS' 20th Anniversary Alumni Storytelling Contest with her photo of a Tanzanian boy who communicates through his smile. While other kids dream about becoming vets or doctors, since Courtney Hudson was eight years old, she dreamt of going to Africa to help other people.